Effectively ending any illusion of me attempting back garden birding, this youngish Sprawk swept in to scatter everything from the feeders at Dempsey Towers in the grey vaccuum after Crimbo today. 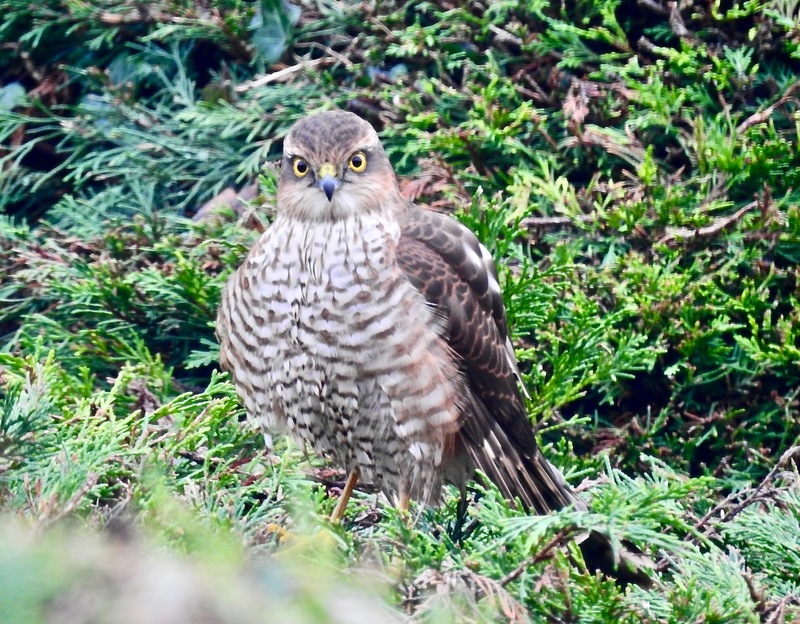 Nothing cheesier than a back garden Sprawk shot. 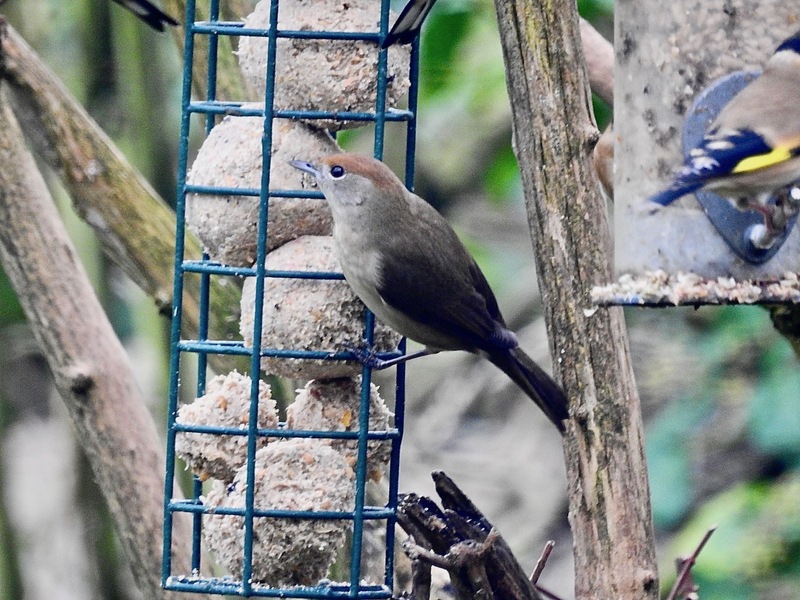 After the Sprawk had cleared off, the Blackcap was still hustled out by Starlings and Jackdaws – mebbe I should put a “caged in” fat feeder up for her…. 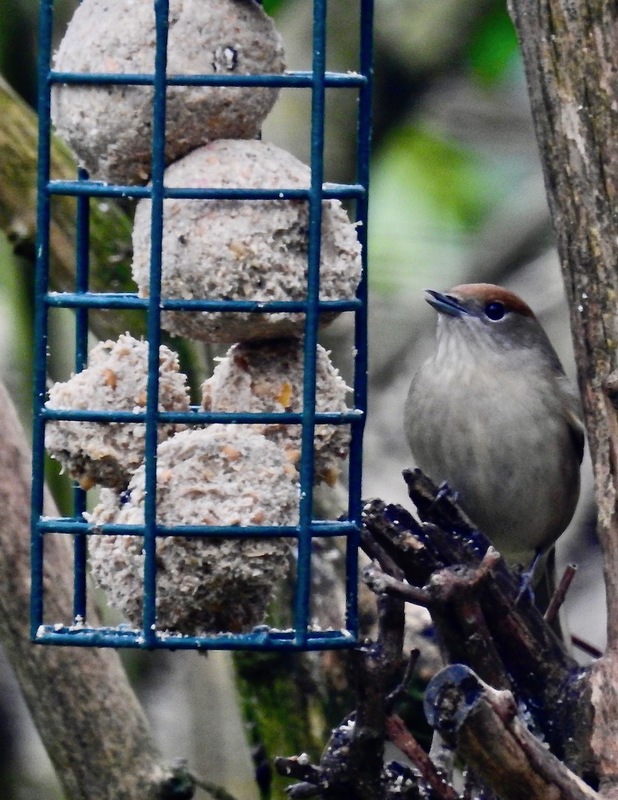 For those interested in something a little less monochrome, perhaps I could recommend to you Birdblog Goa – I’ve just started the thing, and it should take a week or so to compile an ill-disciplined report of our latest gallivanting, but please take a look and let me know what you think…. 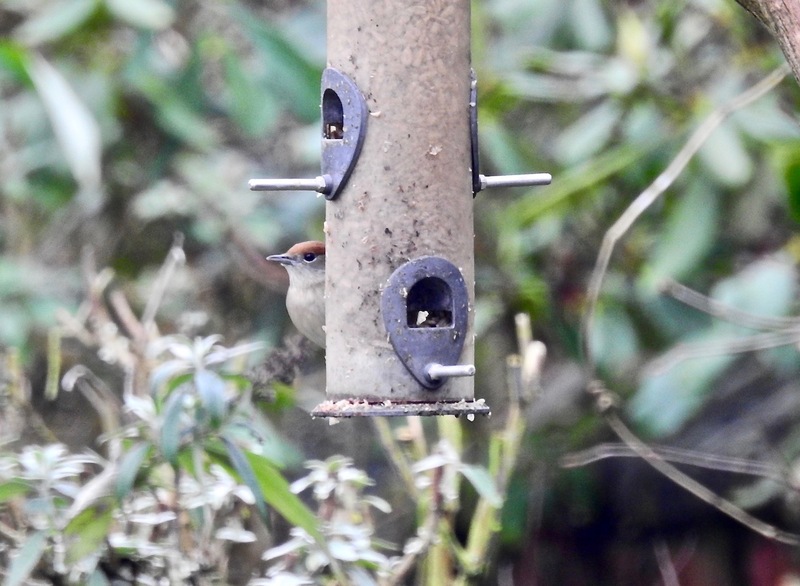 Loving Birdblog Goa John. As with your accounts of previous trips it really brings the place and the birds to life; great reading.